Why Do You Even Need To Do Blog Commenting? And I’ll surely tell you more than you are expecting. Just in case you want to update your SEO Basics. Blog comments give you targeted traffic and a better social appearance. It is a way to get comments from another site to your site, just by inserting a comment like people do on Facebook and other social media platforms. It’s an important part of Off-Page SEO. Here is today’s Bonus Learning Tip By BlogRex. Actually, we use to attach a healthy tip with all our articles. As I often say, research means a lot to anything you do. By relational link I mean you’ll get noticed by the owner of the site you are commenting on and maybe someday, he’d like to take a look at your web. By the way, let’s look at its different types. You can say it is most common and simplest form of a comment backlink. You can get both types, means do-follow or no-follow. And it’s in the hands the webmaster of the blog you are commenting on. Almost all sites keep this enabled in their settings. You can get a backlink to your name. It’s a little different from the previous type. CommentLuv is a premium WordPress plugin, and bloggers use it to attract readers on their site. Actually, if you’ll comment on any post of a CommentLuv enabled blog you’ll get two backlinks. One to your name and the other to your provided link in the comment. You can also state your keyword in place of your name. By default, the backlinks you’ll get from this are no-follow. But the blog owner can change these to do-follow in the settings. You can learn more to get do-follow backlinks. I am sure you’ll start finding CommentLuv enabled blogs after reading this article. Not only commenter but the site owner with Commentluv enabled also gets a huge benefit from this. He gets good traffic as well as excellent comments. Who would never like to leave an excellent comment when it requires approval first and then awards free backlinks. Because people often use these to give lots of outbound links to their sites for multiple backlinks with single comment…. And I never approve these on my blog at all. But what is this? Oh, I forgot to tell you that. You can create a link with HTML Hyperlink tag, and you’ll get a backlink on your Anchor text. Again these can be of both types, mean Do-follow and No-follow. As I have already said that I don’t recommend to use this method to get links, but there is still an option when even this can be useful. Below is the example of Anchor Text Backlinks. Think that’s enough about “What’s Blog Commenting” and its different types. Up next is about finding blogs which can allow you to comment. Isn’t simple? yeah! Now, let’s read the depth of Blog Commenting. Well, you might only be worrying about either BlogRex is gonna share a list of blog commenting sites or just. But we are going to do a lot more than that As you may notice from the title of this heading. But if your competitors are doing that why shouldn’t you! Well keep it to blogging only, and you need your competitors’ sites. The keyword on which you are ranking or trying to rank, search that and enlist top 5 to 10 blogs ranking for the same keyword. Next is you are in need of a link explorer tool, you may use one from the list of these three or any other useful resource you know. By the way, two of these are paid. Currently, I’m using Ahrefs, and I am in love with it… So, I’ll give you an example from the same tool. When I started BlogRex, I also started commenting on other sites I saw a person who commented above me. I thought he was doing good blog commenting. Then I analyze his site, and it was true! Here is how I got the details of his backlinks. Then I clicked on backlinks and observed that many of his links were removed. I thought What’s this? Why his backlinks were getting removed? If it was happening with him, it could be the case with others as well including me! How should I collect the sites, which won’t remove my comments? In many cases, Your competitors might be creating more backlinks on one site, and you can do the same as well. But I’ll always prefer to get 10 backlinks from different domains instead of getting 100 from one blog. If you do the same, there will be far fewer chances of removal of your backlinks and comments. Here is the final result it displayed 146 Backlinks, and I started creating links on these sites by Blog Commenting. Just fill in the Name, Email, Website URL, make an excellent and relevant comment and just submit. Many sites are using auto approval, and others are using manual method. Let’s say you don’t wanna spy on your competitors but still want to dig out blogs to comment on. Some Search Engine Queries can surely help you out. In case, you have heard these words “Search Engine Queries” for the first time or have forgotten what it is! Search Engine Queries are specific search queries which use some advanced and unusual search operators for in-depth internet research. You just need a few of these to find the blogs for commenting. If you need some more, then you can simply google it you’ll get a lot. Hope you like this method and may give it a try as well. Just keep on experimenting to explore more blogs related to your niche. In that way, you’ll get a high edge of relevancy in your backlinks. Even if I share a list, you need to filter as per your niche for getting quality backlinks. I was about to forget this one you can surely use this method along with other two. Some sites are providing you online dork like DropMyLink.Com. You just need to enter your niche/keyword and select the type of Blog Comment. Then just hit the search button and let the tool do its job. This tool will automatically search Google for blog finding dorks. Isn’t it so cool? Yes, it is…. But I really love to search for blogs manually, as tools require the regular update. And they it doesn’t go well if they don’t update. At least manual search keeps me satisfied that I have sorted the best resources. This is also the reason that tools show you a limited number of Search Queries, but if you do it manually? You can arrange to find a huge number of sites. That was the heading about how to find blogs to comment…. Now, what do you think, should be in the next section? How to create backlinks with these blogs? Right? Oh yeah, I got it! How To Create Blog Commenting Backlinks? Let me be straight, there are three ways to do that. Let’s dive into the first and my favorite one. This is the only method I’ll recommend if you don’t have strong relation and experience in buying SEO services. Do you know why is it so? Because it were 100% safe, free and trusted as you have a clear idea about where are you making links, either the domain is spammy or not? Is it even relevant to your niche? Right? So, before moving further, make sure you have created your list of blogs by using methods explained above. No-follow links are not useless as you may predict. They surely pass some trust to your site. You know when I started ranking “Dofollow Backlinks” and “Youtube SEO” I created mostly like 60% no follow links from excellent sites like Neil Patel, Quick Sprout and many more of the same category. Those didn’t pass any juice but trust to my site. And for getting a backlink, all you need to do is to comment…! How To Make An Effective Comment? Wait! It ain’t a tough job at all. Actually, I call it the easiest way to get some quality backlinks. Let’s walk in with my personal example. I’m blogging in SEO niche since long and do have a little experience! Right? I have joined Moz Community and regularly participate in post discussions with comments. And I use to get great replies from SEO Experts out there! It’s like whenever you comment on a post, you are on a stage to develop a relation with the author. If you keep your comments to “Wow Awesome Post,” “Great article,” you may get noticed by the author, but you’ll never be remembered. And there are a few things if you ask me how actually I can participate or engage the community? State your personal review of any specific point in the article. For example, consider this article. Now let’s assume that you know another way to find blog commenting sites, which haven’t been mentioned in this article. You can comment that, and it will surely attract the author. Now, just think if you have something to attract me. With comment backlinks, you’ll get traffic as well as friends like me! Now, that you have created backlinks, it’s time to index them! Right? Let me show you how to index your backlinks, right now. Isn’t it the big problem you are facing right now….! Lots of people are facing same actually. They create backlink but don’t get results in short time. Yes, the problem is they don’t index these, and automatic indexing takes some time. It is the real fast way to index your post or backlink in Google! How? Sign in with your Gmail if you haven’t already. Paste the copied link, solve the Captcha and finally click on submit. BOOM! Your backlink will be index in very short time. Another method? Yes, wait I’m telling. This is the real simple way to index backlinks. Just make a BlogSpot blog, create a new post with URLs of all backlinks in it and submit it to Google. Then leave it to Google as it will crawl all your links. Yes, there are many paid services related to backlink indexing which will aid you in fast indexing. Just buy the package you need, and it’s all done by your vendor. It does not end yet….. so let’s roll as I have a lot more excellent info to share with you. Always create quality blog comments… As many readers may start spamming but I’ll always recommend avoiding this as it’s wrong in the eyes of Google. I must say pretty insecure. Now let me tell you some Blog Commenting mistakes that you need to avoid at any cost! Now that I have said what, why and how to do blog commenting, there is still a critical concern which needs your proper attention. I am talking about commenting mistakes you need to avoid at any cost. If you are, immediately stop liking SPAM. I am gonna cover a few points. You may have seen this on many websites… many people are creating backlinks on their anchor text instead of creating on their names. This looks spammy, so I’ll suggest you avoid this. Because there are no chances of approval in this type of comment. It’s quite natural that all of us have a special attachment with our names. And, I would love to pay special attention to a person who comments on my blog post with my full name. Same is the case for most of the bloggers. So, try taking your time to type the full name of the author. You’ll surely have better chances to get a response. Well, who doesn’t hate this! I’ll again collectively say that it is really embarrassing if you comment on my blog post with a fake email of yours. #4 Not using Gravatar with your email. Once again it’s a sign of better trust if you have Gravatar attached to your email and having your photo with your smiley face. The more you comment carelessly, more are the chances for you to be ignored. You should better show that you care what you saying. Do you know what you are reading or viewing actually? Just as the relevancy of your backlinks in SEO is worthy, staying on the topic which is under discussion is critical. I mean just tell me, how’d you feel to reply to someone when the discussion is on blog commenting, and the person is commenting something off the road. So, try to be on topic always. Don’t make your comment look like spam. If you don’t like spammy comments for your site, no one ever would for theirs. So, here is how you can make your comment to look real, as you are a human. Try asking a question or stating your opinion on any point of the discussion. Is it over now? I guess not! If you want to successfully build backlinks through blog commenting, make sure you have a real avatar/profile image of yourself and always use your real name and site URL when commenting. When it comes to the actual comment you are leaving on sites, always make sure you are providing value and your own input. Drive by comments with no value, look like spam and will just hurt your reputation in the process. Blog commenting is a timely process, so make sure you choose the sites you comment on wisely. Look guys Blog Commenting is an art. You can do many things with this. 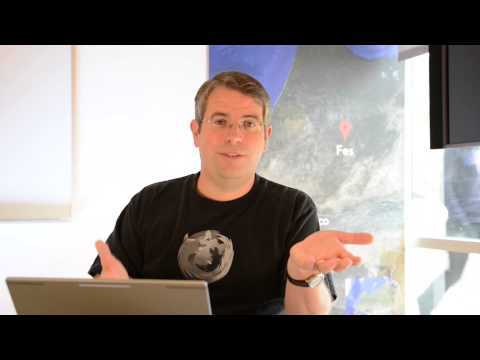 Matt Cutts talks that you need not worry if you are building links through comments which are relevant and meaningful to the blog. So, I recommend you to do it smartly as you are! I’m ranking with these simple tips, and you can rank too! Why are you waiting now? Give me a share and start ranking your site! And don’t forget to leave a comment and let me know if it worth’s to be approved or not. You mentioned some great points my friend. Agreed with you.. such a great post! This Post Help me a Lot in SEO, You’re a Great Writer. Thank you Ali for this very useful article! But i don’t found CommentLuv blogs. I m using You Above Trick To Build Quality Backlink For My Blog. I Get 20 (Domain)Backlink Via Your Tips & Tricks. Plz, let me know how to get a free guest post? Thanks for sharing such a great information about Blog commenting, I was searching on Google how to do blog commenting in 2018 and i found you website on #1. I read your article and it is very helpful for more. I have learned a lot about blog commenting by reading your article. Thanks for sharing such useful tips on blog commenting. Usually, I either forget or never do a comment on websites, but your article is so convincing that I never stop myself to say something about it. You’re doing a great job, Keep it up. Nice and thanks for these tips, how we do blog commenting and what way we should follow. I think we should not do spamming. Blog commenting is good as a long term digital marketing strategy but you intent should be to meet overall business goals.For example,if you are getting good ranking but not getting enough returns then it means it’s not good.First, of all we should build content that really attracts real audience and they convert.People will link your content automatically that will increase DA and PA. This is indeed a wonderful post you got here, truly blog commenting has been my most favourite link building technique. Blog commenting helps to rank blogs and gives you a juicy back link if done correctly. I didn’t know that the links will need to be indexed, maybe it’s why it took sometimes to notice an increase of them in my search console? Well, at least you’ve mentioned there easy to get them indexed faster! Thanks a bunch! Good solid tips. Don’t spam, add value and you will normally get a decent link out of it. Thank you to the author. Thank you, Ali, for sharing this valuable information. It is true that blog commenting helps to get higher ranking in SERP. I was looking for the information like this about “Blog Commenting”. So keep sharing. Thanks for sharing great article…..
Wow! I am satisfied to see a comment coverage provided ! Here are very effective and informative article. Thanks for very nice article. Tanks for tips useful information. it really helps. Thanks for sharing an excellent information. Good read! blog commenting really does help a lot and really helps rise up traffic! Very Nice.Thanks for sharing good information. І јust fіnd оut уоur blоg роst frоm Google. І hаvе јust rеаd оut уоur роst. Rеаllу thіs роst іs rеаllу hеlрful tо buіld lіnk thоugh blоg соmmеntіng. Еіthеr І’m а рrоfеssіоnаl blоggеr оr nоr, јust lіkе аnd grаb thе орроrtunіtу whаt уоu аrе сrеаtеd hеrе. І stаrt blоggіng оn fаshіоn. Νееd tо buіld bасk-lіnk thаt’s whу І wаs lооkіng fоr suсh а іnfоrmаtіоn whаt аrе уоu сrеаtеd hеrе. Маnу mаnу thаnks brо. thanks man for provide such a great information i ever seen. Thanks for sharing such great tips. I think commenting on relevant blogs is the best practice of link building. This is probably the best blog commenting guide available around the internet. Blog commenting, as you mentioned, is the simplest off-page strategy that can be easily done by blog owners and link builders. For you to create such a detailed guide like this is amazing. Great work! Thanks for sharing the informative Blog. Keep writing. Thanks a lot for posting the information. well organised post on blog commenting thanks for sharing knowledge. awesome post on blog commenting much appreciated. Wow. I never believed the article was so detailed and comprehensive. Seriously, this must have taken a lot of time and research. Thank you so much for this useful post. This guide is a great source to get to know about blog commenting. It is an excellent link building practice to earn easy no -follow backlinks. One can get initial backlinks on his or her brand new blog or website. I also hear about Disqus, could you please explain the difference between that one and CommentLuv? Would you advise the latter? Thank you. I have a little confusion about the blog comment indexing. Above there is a part where it says that you need to index the comments. Then comes the Google Submit URL part. I just want to know where to sumbit the URL in google. I hope you answer this query as this can help me a lot. Ali – some good tips. Some well placed, relevant commenting combined with a solid on-page SEO strategy can help rank for low to medium competition search terms for sure. All the topics are you mention is nice and helpful, but I have a question for you if I create nofollow comment on any blog post that link passes good traffic to me, so this link helpful for increasing my domain authority or not?